We are a family-run business specialising in the supply of high-quality Scottish woods to both trade and the individual. You can always contact us for professional woodworking and design advice. 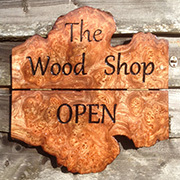 Please click www.thewoodplace.com to visit our Web site where you can read more about the business and get details of our products and services.